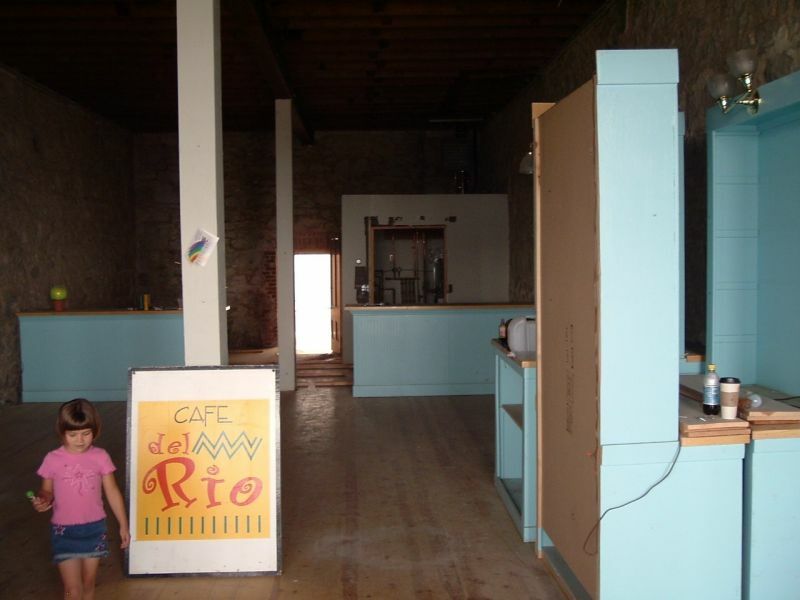 I read in the paper the other day that the Cafe Del Rio is finally open in Virginia City. The Cafe Del Rio was a Carson City restaurant that kept jumping around from building to building, never finding a firm home. They were at the corner of Fourth and Carson for a while, but when the garage next door burned down in 1998 it destabilized their building and they had to move out. The building was later demolished and is a sandy empty lot now. 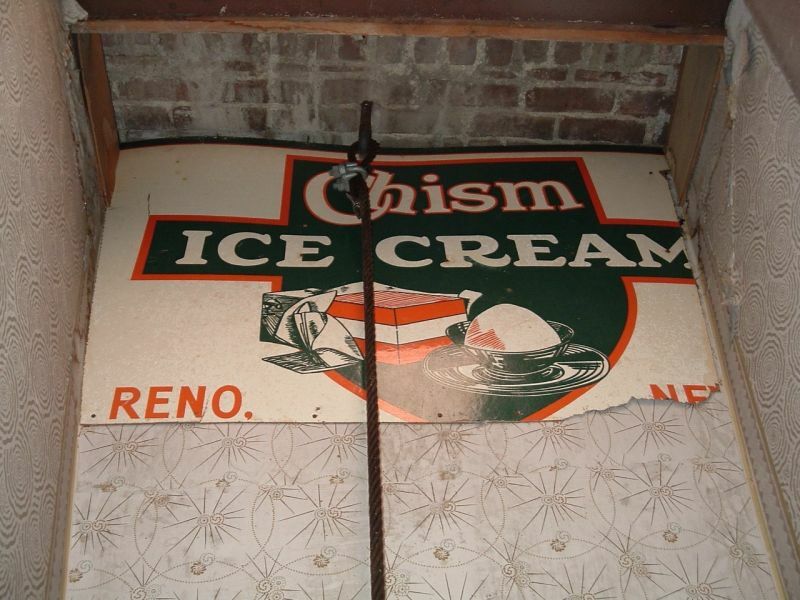 They were also on the ground floor of the St. Charles Hotel for a while, but they couldn’t make a go of it there either. 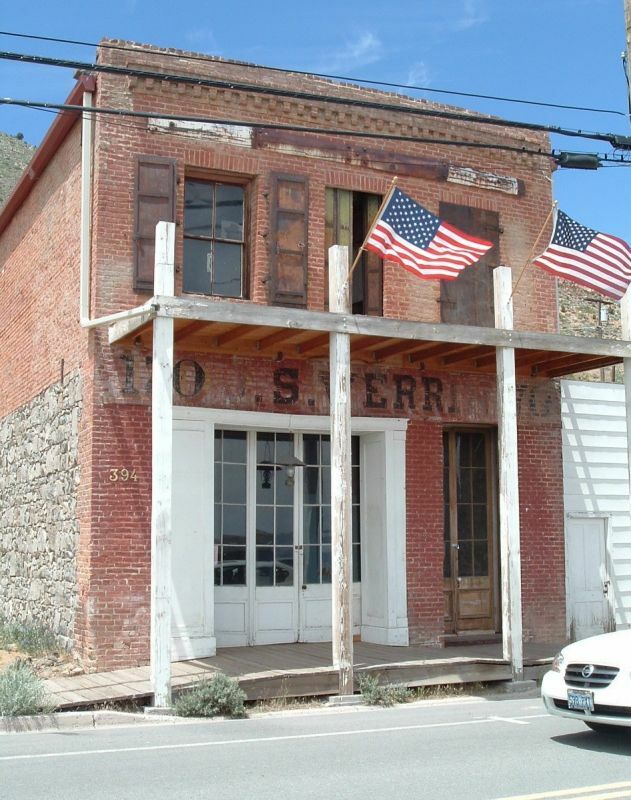 So after such a string of bad luck, the owners decided to leave Carson and ended up settling in Virginia City instead. They bought one of the forgotten old buildings along C Street and set to renovating it to reopen the Cafe Del Rio one more time. It took them a year and a half, but they finally did it. The restaurant opened in January. The Cafe Del Rio in 2004, before the renovation. Back in May of 2004, just a month after they bought the building, we were walking along C Street when we struck up a conversation with the owners. They were excited to have someone interested in their new acquisition, so they gave us a grand tour of the building, both the empty ground floor that would become the restaurant, and the spooky second floor which used to be a hotel. The ground floor was nothing exciting, just a big, brick-lined open space. But the second floor….now the second floor was something. To get there, we had to go outside and climb up a long, tin-covered enclosed staircase to get to a door in the side of the building. And once we were up there, it was obvious the space hadn’t been used for many decades. The only light came from a few open windows at the front and back of the building. Many of the rooms were pitch black. There was an old lighting system hanging off the walls, with cloth wiring draped everywhere, running up and down the hall and into each of the rooms. But it didn’t work anymore; many of the fixtures were gone, and the wires were broken in places. 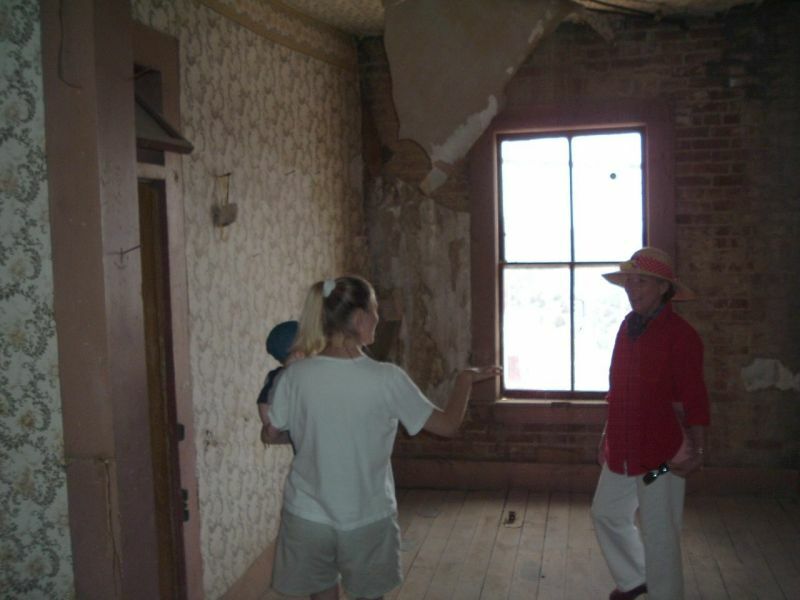 The wallpaper was peeling off in sheets, exposing the plaster and bricks underneath. There were wide cracks in the wooden floor, and we could see all the way down to the restaurant space below. Heavy metal shutters covered some of the windows, rusted in place over the ages and blocking out light that we badly needed. The doors still had their room numbers on them, showing that this was once a hotel. It was probably pretty nice back in its day, even though time had taken its toll. According to the article, they didn’t touch the second floor during the renovation. They fixed up the ground floor and opened it as a restaurant, but the spooky second floor remains the same as it did that day we got the tour. 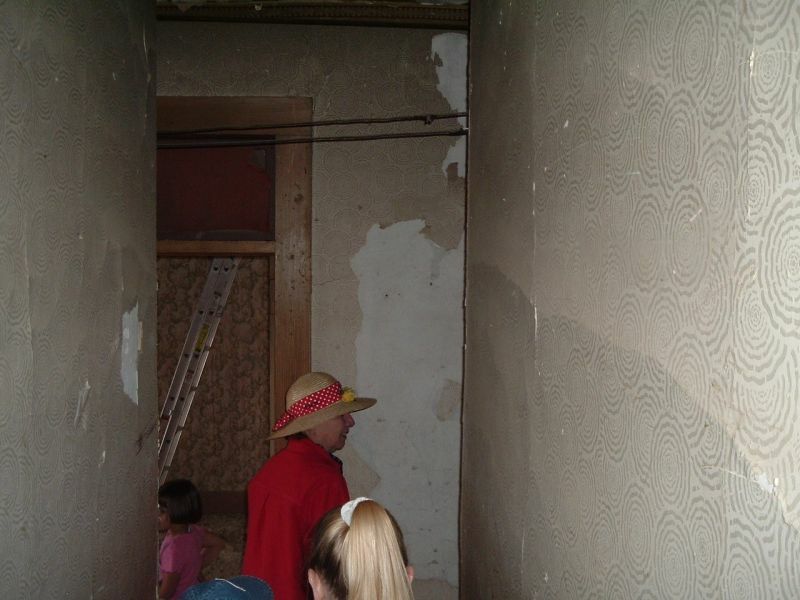 One of the workers is even convinced he saw a ghost up there. Their future plans call for fixing up the second floor, maybe even opening it up as a hotel again. It will be great if that happens, but at least the restaurant is open now. And I think we’re going to be making a special trip up to the Comstock to see how good the food is. For even though the Cafe Del Rio was open in Carson City for years, at three different locations, I never once ate there. It’s time to remedy that.